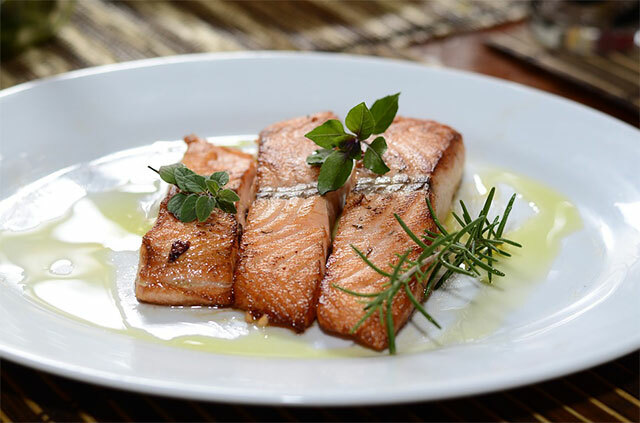 Brush salmon fillet with oil. Sprinkle dill and salt to taste. Slice lemon and place on top of the length of the fish. Bake for 12-18 minutes at 400 degrees in the oven.